The disappointment was apparent for the Grant County Lady Braves as they were swept by Walton-Verona in three sets Aug. 23 at Walton-Verona High School. Trailing most of the first and second sets, the Braves struggled to communicate on the court, leading to errors that, according to players, should not have occurred. “Our goals are to be a more talkative team and to go further than we ever have. We are learning things from a new coach. 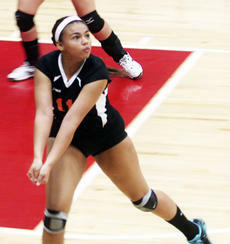 We all want a great season and we have all the potential,” said Lady Braves Senior Taylor Cummins. Things were not looking good for the Williamstown Lady Demons volleyball team in their Aug. 27 game against the Owen County Lady Rebels. 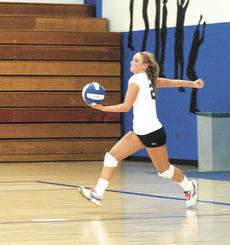 In the first two sets of the game, Williamstown struggled to get the ball over the net. The Williamstown Lady Demons and Grant County Lady Braves volleyball teams are preparing to face-off in their upcoming match Aug. 30 at Grant County High School. 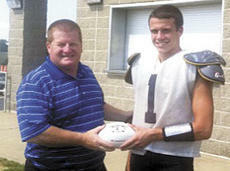 To both teams, playing their cross-town rival is more than just a game. Fan turnout is multiplied, players prepare for weeks, and the pressure runs high to secure the winner’s title. For Williamstown senior Morgan Potter, a game against Grant County is one of the most notorious on the season’s schedule. 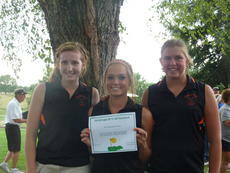 On Tuesday, Aug. 21, Sarah Hicks, Hannah Scroggins and Carly Middleton of the Williamstown High School girls’ golf team played as individuals in the All A Classic Golf Tournament held at Fairway Golf Course in Owen County. The winning team and top two individuals (outside the winning team players) advanced to the All A State Tournament to be held at Lincoln Homestead Golf Course in Springfield, Ky. on Sept. 8. 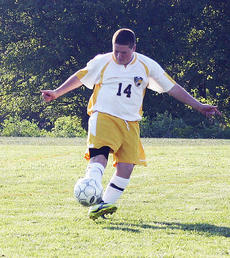 Owen County was the team winner. Williamstown schools cross country teams opened their season at the Fifth Annual Holmes Licking River Run on Saturday, Aug. 25. Twenty schools participated, with nearly 600 runners. 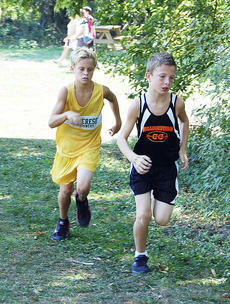 Williamstown entered runners at the junior varsity, middle school, and elementary levels. On Aug. 25, the Williamstown Elementary Cross Country Team competed at the Holmes Licking River Run. Overall, the girl’s and boy’s teams each placed third. In the girl’s race, runners finished as follows: Kasey Hill - fourth; Destiny Wallace - 12th; Tabi Jordan - 13th; Teja James - 23rd; Jayda Murphy - 29th; Emma Kramer - 30th; Shelby Marksbury - 31st; Ellie Schultz - 32nd; Cailynn Evans - 35th; Abigail McKenney - 38th; Sophie McKenney - 39th and Courtney Evans - 40th. Steve Thompson retired from the classroom, but he’s already gone back to school. 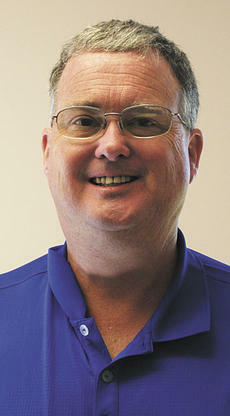 Thompson, of Dry Ridge, has been hired as the Grant County Schools athletic director. He replaces Scott Shipp, who has taken over as Grant’s director of operations.